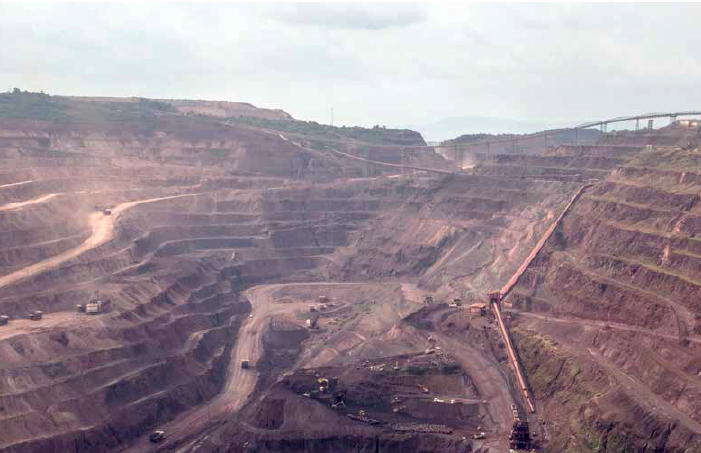 In April 2015, the Observatory of Mining Conflicts in Latin America (OCMAL) published a report about the impacts of, the mobilization around and the resistance against mining in ten countries of Latin America. During the last decades, Latin America has become an epicenter of the global expansion of mining. Despite the recent drop in the international prices of minerals, several Latin-American countries continue to receive investments for mineral extraction. In fact, last year, Latin America captured 27% of the investment in mineral extraction worldwide. Mining has been expanding in recent years, both in countries with a long-standing extractivist experience (like Chile) , as well as in new territories which have seen a push for big mining projects, both by mining companies and national governments (like Ecuador). Today an increasing number of habitats appears to be threatened by mining in Latin America: the páramos, highland lakes, glaciers, headwaters of various rivers, and the Amazon rainforest, among others. Wherever mines are established, they have severe environmental, social and cultural impacts, both on territories and communities. Thanks to the intensive exchange of information and evidence by its members, the Observatory of Mining Conflicts in Latin America (Observatorio de Conflictos Mineros de América Latina, OCMAL) recently compiled a Map of Mining Conflicts in Latin America. OCMAL now reports extensively on the development of these conflicts in different countries of the region: Bolivia, Brazil, Chile, Colombia, Ecuador, El Salvador, Honduras, Panama, Peru and Uruguay. OCMAL report aims to share country-specific information, identify trends of extractive investments in different areas, and analyze the diversity of strategies of opposition and resistance. . The report aims to explain, on the one side, different social, economic and legal processes which take place in these territories for the sake of mining expansion. The report shows how states and private companies are able to influence laws, hide corruption, or receive support from international organizations for the sake of safeguarding extractivism. On the other side, OCMAL report shows how local communities experience the expansion of such activities. 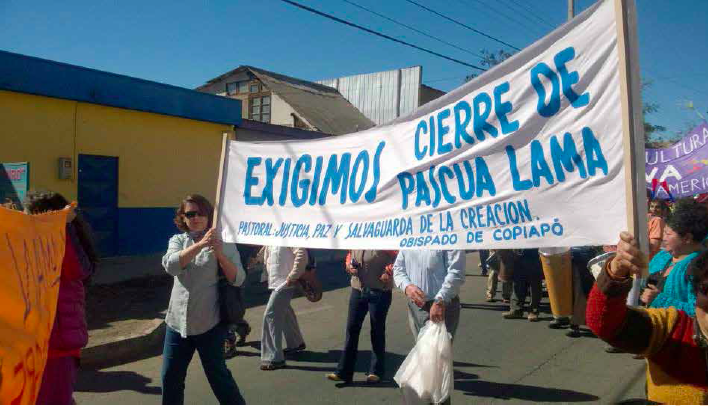 Mobilizations and uprisings by resistance grassroots movements, against dispossession and in defense of their territories, have also characterized this recent period of mining expansion. These emerging conflicts are territorial, the report shows, since mining requires control over big extensions of land, water and other natural resources, which before the onset of extractivism were under the control of the local communities. Now these communities are being increasingly dispossessed. In many cases, these conflicts have turned violent. Peru, Ecuador and Bolivia showcase some tragic examples of state forces being devoted to the protection of mining activities – either by criminalizing the opposition, or by attempts to attack, or even murder, activists who oppose extractivist activities. These human rights violations frequently go unpunished. The information thus generated in different national contexts is expected to be useful for grassroots, social movements and affected communities resisting mineral extraction in Latin America. The report (in Spanish) can be accessed here. I was reading this article and thinking that these giant corporations act the same all over the world…. South America, Africa… same poor ethics and lack of integrity!! I believe you would have seen these articles online already…. We would like to comment about Acacia Mining. Just recently, there have been other tragic situations in Acacia’s ambit of operations and the handling has been nothing short of scandalous. And now this $115 million case with a small local company. Just a few of these “hidden away” legal cases that evidently have never been reported to the stock exchanges or to the Barrick/Acacia investors… not good at all !!! How many more of these messy legal cases are being hidden away from the world ? Probably so not to disturb their prices of stocks and shares around the world ??? Barrick / Acacia is undisputedly the biggest gold company in the world. How is it that big business, and invariably from Europe, comes to our country, Tanzania, and squashes the little man here? I am all for industrialism and creating jobs in our country BUT not when these huge corporations (indeed, Barrick/Acacia is only THE biggest gold mining business in the world) come and bully the little man. If I could place a bet, I would say that they will use their overseas lawyers (probably our local lawyers are “not good enough” for them) to draw Bismark into a long, long legal process over many years and in so doing, will probably pressure Bismark to withdraw due to legal costs, cash pressure, whatever, until eventually Bismark will have no option but to withdraw leaving the huge corporation to win, once again, without justification. Just look at the lawyers that Acacia are using ? Reported in this article are the lawyers AKO which are actually Clyde & Co from London, England. The smallest Google search shows this. I am not judge or jury. But if Acacia failed to return land or license or whatever… either they returned it or they did not. Black and white. Our people benefit from overseas companies operations. There are jobs and advantages. But look at how they bully the small business man here !! You are the biggest in the world! Set an example! Just sit around a table and finish whatever dispute. Please help us to follow up this story and publish on your site.